I am 32, just had my first class and seem to panic when floating. I am able to float but after a few seconds I panic and try to get up abruptly. This is affecting my glide as well. I don't think I am scared, but I can't seem to control this impulse to get out and quickly. Help please! 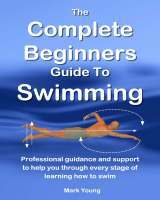 Congratulations on taking your first swimming lesson - it can be a nervous time for some people. Do not stress at this stage about floating and gliding. The panic you are experiencing is very common. It can be caused by a combination of things. if you hold your breath whilst floating or gliding, in fact if you hold your breath whilst doing anything (not even swimming related), it causes a build up of carbon dioxide in your lungs which after a few seconds needs to be released to allow in fresh oxygen. In other words you need to breathe! Instead try to breathe out slowly as you float or glide. This will allow the carbon dioxide to be released slowly whilst you are face down in the water, which in turn will help you to relax and then make the need to breath again much less urgent. to roll slightly, or certainly feel unbalanced in some way. This is just the way that the human body behaves in the water and it is these kinds of things that cause the panic to quickly set in. With all this in mind, think about your scenario. You are learning a brand new skill in an environment that quite frankly human beings were not designed to be in and do not belong in. You take in a deep breath, put your face down in the water and glide or float. Carbon dioxide builds up and you suddenly need to breathe. Combine that with an unbalanced feeling and maybe slight sinking feeling and thats it - panic. Get me out of here. Take each lesson one at a time. Over time you will learn how your body behaves in the water when you are floating, gliding and swimming. Remember the water is not trying to pull you down. It is actually trying to support you and in time you will learn to relax and appreciate and feel your own buoyancy. Thanks Mark for your quick and detailed response. I did a little better yesterday and now with your tips hope do even better. I'm doing one of those 7 sessions where they cram as much as they can in a weeks time. I am practicing in our community pool in the meantime and find I'm growing in confidence the more time I spend in the water. Your advice helped me greatly. As soon as I started to breathe out consistently, I was able to relax more and now am quite comfortable gliding and kicking for a reasonable distance. I do not panic anymore. On the last day of the training, the trainer started us on arms strokes (Freestyle). I am practicing this on my own in our community pool now and am able to glide comfortably and throw in 3-4 strokes as I kick. I think my problem now is that I'm not able to roll like the trainer said I should. Consequently, I am unable to take a breath. As much as I try, I just do not seem to be able to roll side to side. As a result, I have to stop after around 3 strokes so that I can breath again. Would you have any tips for this? I really appreciate your help.